Rancher Adrienne Ivey may have heard of a beaver, but until now, had never seen a beaver herd. Cattle, that is. Saskatchewan rancher Adrienne Ivey may have heard of a beaver, but until now, had never seen a beaver herd — cattle, that is. On Friday, Ivey and her husband were surprised to see 150 of their heifers crowded together in one of their pastures. Curious about the strange behaviour, they investigated further, to find the herd of cattle following a beaver that had wandered along. 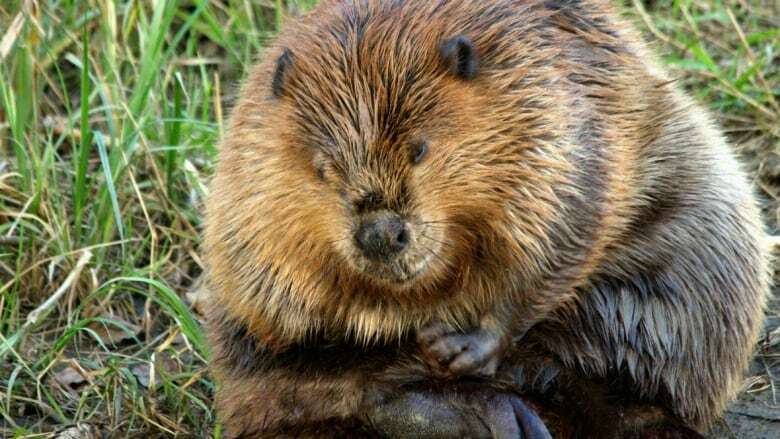 "He was out and about, I think looking for a new place to build a beaver lodge, and they were following him," Ivey said. "There was about a three-foot space around him. They didn't want to get closer than that." According to Ivey, heifers are more inquisitive than the average bovine, which may have led to them following the beaver. "They're a curious bunch," she said. "They're kind of like teenagers. And I think they were following this thing around because they couldn't figure out what the heck it was." Ivey thought the odd event was even more notable considering the beaver is Canada's national symbol. "We just thought this was so funny and so Canadian," she said. "A Canadian beaver leading around a bunch of Canadian cattle just makes it even more funny." Ivey said they have a number of sloughs and wetlands on the ranch, and often see beavers walking around. The couple farms near Ituna, 135 kilometres northeast of Regina.